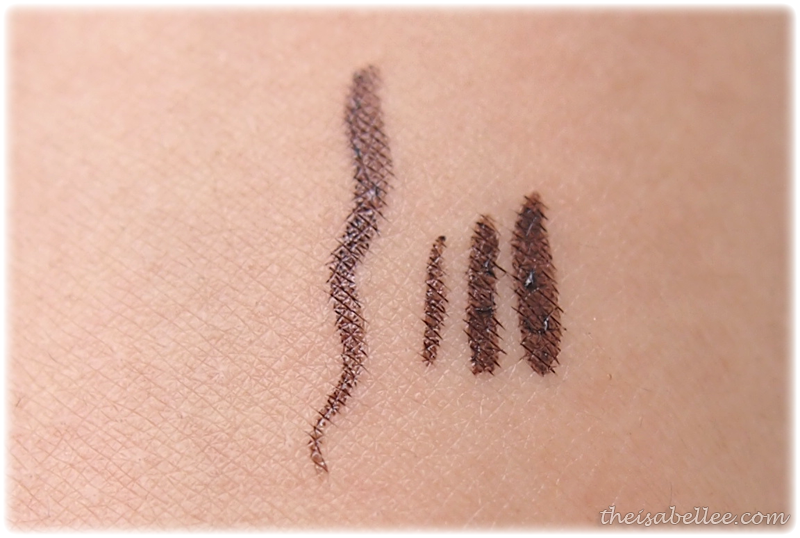 After my brown K-Palette eyeliners continued to fail me again and again, I decided to switch brands. 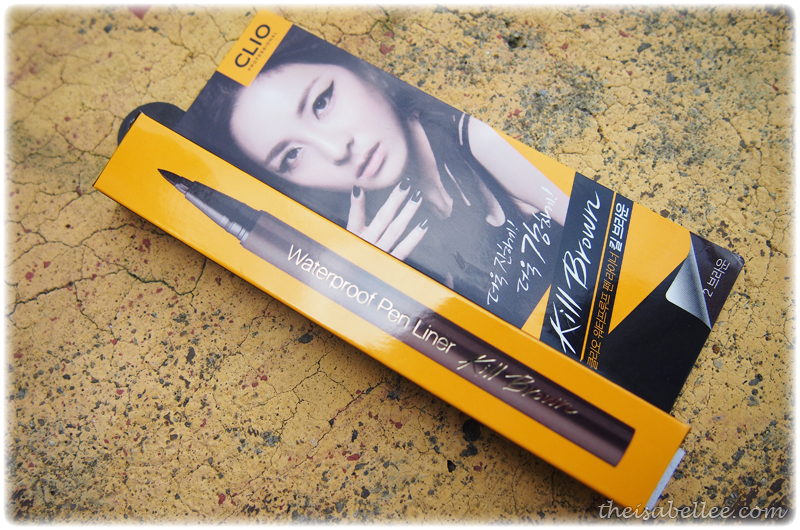 I bought this liner at Sasa for RM 55.90 after remembering numerous good comments about this brand. I was surprised to see a felt tip! It's similar to the Cyber Colors one except this is thinner and softer. However, still pretty rough and hard to maneuver, causing wobbly wines. You see, a soft brush tip can bend and accommodate shaky hands. They leave a smooth curve while harder tips drag your skin and provide a more precise application (which is not good if your hands are not steady). Also, felt tips tend to become fluffy like how marker pens become. Balls of fluff start detaching themselves from the tip, carrying ink with them and leaving unintended lines. I've used this for about 2 weeks now and I've already removed 2 fluffs. Hello? 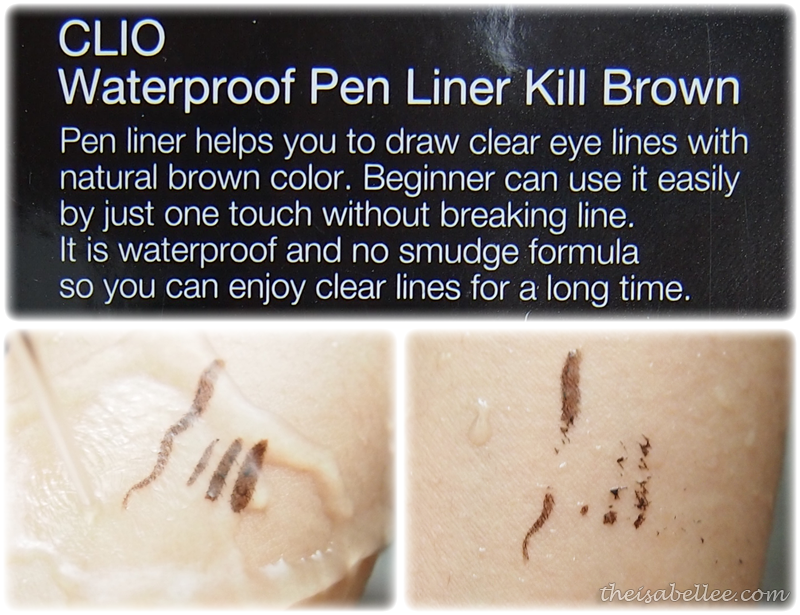 This is NOT waterproof nor smudge proof!! One light rub and the colour is all gone. Good news is that you won't need makeup remover =_=" Just.. Despite my years of eyeliner application, I found it hard to get a good wing with this liner. Most of the time, the shape just goes wonkers! Paired with light pink eyeshadow from NYX and silver eyeliner from Solone. Contact lenses are from MagicColour. Overall, I only like the colour of the eyeliner. 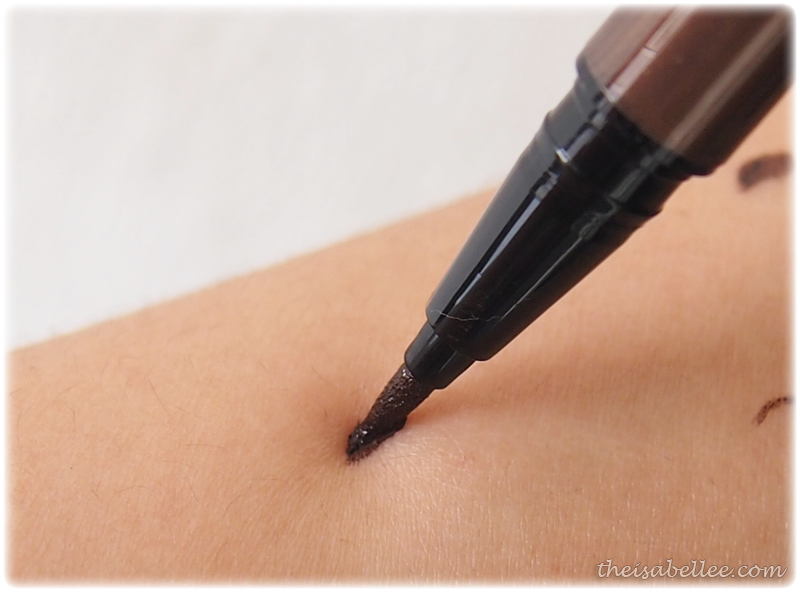 Not many brands have brown liquid eyeliner. Due to its non-waterproof properties, I will not be repurchasing this. Definitely. By the end of the day, part of my eyeliner disappears, which is really disappointing. Boo! However, they do have some unique colours for their pencil liners, which you might wanna check out at Sasa. wah good idea!!! swatch on arm then go wash it off then can test before buy leh! thats y i love sephora because they provide water too! !